This Sunday's photo comes from a visit to Las Vegas. While there, we did a tour of the Neon Museum, and they also mentioned there are ten neon signs left in the city. 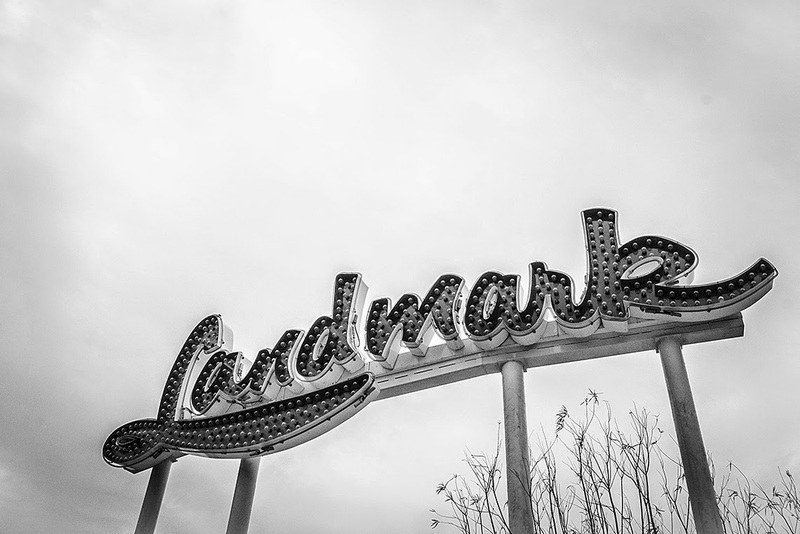 The last one we found is this Landmark sign, the sign used to be for the Landmark Hotel and Casino, now long gone. Some outtakes from the neon museum.